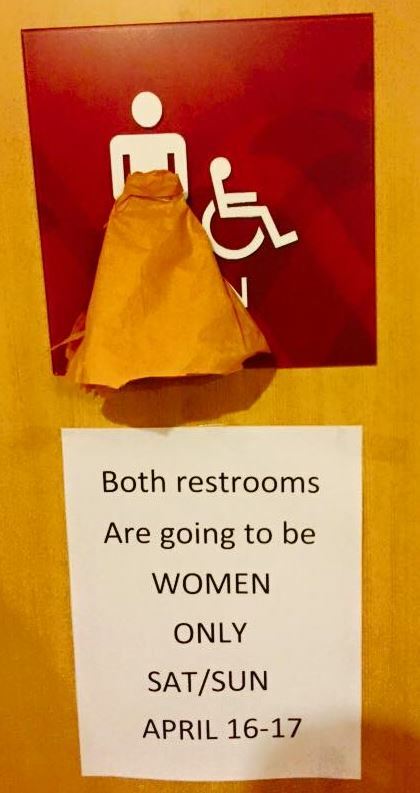 The Wyndham Hotel in Austin kindly turned the men’s room into a women’s room this past weekend when over 100 female writers took over the premises. 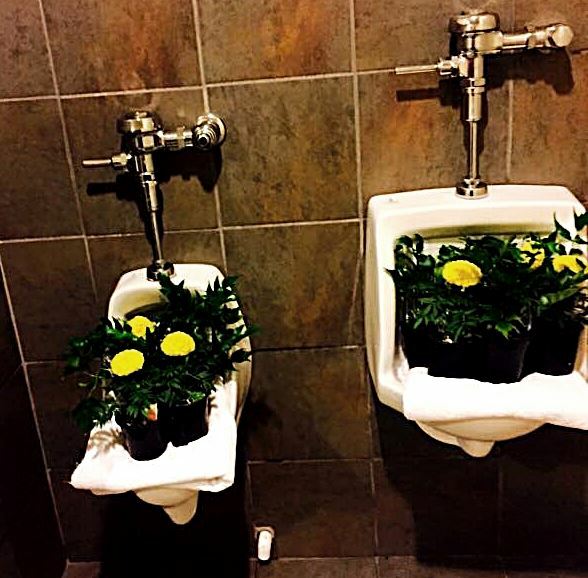 And someone was kind enough to turn the urinals into unique vases. The reason I’m sharing this with you is because one of the presenters, awesome Debra Winegarten, encouraged us to put ourselves out there to the world without apology, and that was just one of the many pieces of wisdom I came away with. Now laugh if you will, but the biggest note of things to do that I wrote to myself was to put a note pad by the toilet. Doing just that I realized would better help me to clasp that net over the butterfly of words. Bean Pat: Live to Write – Write to Live http://tinyurl.com/gpkwxyv This is one of my favorite writing blogs, and today its author, Lisa Jackson, encourages writers to enter contests. *If you, men included, want to read my 600-word story, “The Heart of a Dog,” send me your email (mine is patbean@msn.com) and I will send you a copy. Major kudos to the Wyndham – what a great move! Not only did they respond to the needs of their guests, but they did it with class and a sense of humour! The hotel was great Diane, but being with supportive female writers was priceless. Thanks for commenting. Congrats, Pat! Your story was great! Great conference too. I have already begun to read Travels with Maggie! You are a priceless gem Nancilynn. I am so fortunate to have you as one of my tribe. Congrats on winning, Pat! Your story was a great story and a statement of proof that writing from the heart (maybe a small intentional pun there *G*) is good not only for the soul but for applause. You done good all ’round! It was so great to see you and your tribe Sam. Hugs headed your way. Love those urinal vases…great idea! What a grand time you must have had. Sending my email for the story to your email. Thanks? I did and the memories will live forever. Hope you got the story all right. Thanks for asking. And where did the men go? Just use some out-of-sight corners? 😉 Or were there absolutely no men? There was another restroom abou fifty feet down the hall. That’s where my SO went. There was no male bashing at the conference Pit. We all love them, and several speakers said as much, and there was another restroom for the men just down the hall. Its just that when its all female writers, there is a special bonding and the shy ones (not me) speak out. Just as an extra note to other readers out there, Pit has an amazing blog mostly about Fredericksburg, Texas, which I passed through on my way from Austin to Dallas. Thank you ever so much for mentioning my blog! 🙂 I appreciate that very much. So you passed through Fritztown?! You should have hollered and we might have got together. Maybe some other time. Your story still resonates within – a true keeper. Awesome that you won! Pens don’t work well on TP – need to find a notepad. Or an actual notebook. Thanks for making me laugh Marjorie. Congratulations, Pat! Way to go!